"....a colleague of mine who is retiring from the company. 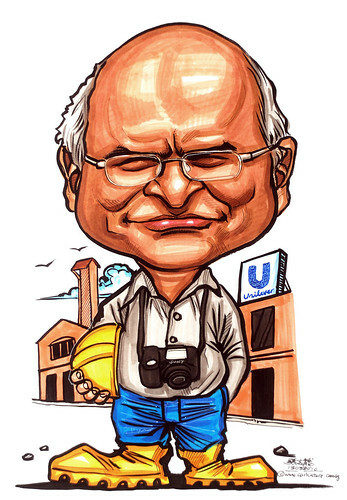 He was the Safety Manager & I would like you to do a caricature of him wearing some safety gear - hard hat, safety boots & carrying a camera (like his pic)...."
Less thank one day delivery - drawing with metal engraving and frame. "Oh, very nice!!!.... Beautiful.... very nice...... very nice...."